Several reports indicate that the fragments of the “migrant caravan” are now arriving south of the U.S. border with Mexico. Border Patrol officials in California and Arizona said they have not seen any illegal border crossings between ports of entry this week. Over the weekend, about 600 migrants arrived via train in the northern Mexican city of Hermosillo, the Associated Press reported on Tuesday. The group plans to continue to Tijuana in the next few days. Late last week, about 50 migrants from Central America arrived in Tijuana, Reuters reported. “Since peaking at around 1,500 people, the so-called migrant ‘caravan’ has dwindled under pressure from Trump and Mexican migration authorities, who vowed to separate those migrants with a right to stay in Mexico from those who did not,” Reuters states. Juventud 2000 director Jose Maria Garcia told the wire service that some crossed the border and requested asylum. He said more are expected in Tijuana in the coming days. Border Patrol officials in the San Diego, Yuma, and Tucson Sectors told Breitbart Texas on Tuesday they have seen no illegal crossings in recent days by anyone from the “caravan.” El Centro Sector has not yet responded to an inquiry. On April 11, Breitbart Texas reported that an MS-13 member joined up with a “caravan” splinter and crossed the border in the Yuma Sector. “We questioned the members of the group and confirmed they are part of the caravan of Central American’s who are reported to be traveling to the U.S.,” Border Patrol spokesman Justin Kallinger told Breitbart Texas. Kallinger said the MS-13 member did not claim to have started out with the original “caravan” but joined in a stash house in Mexico before crossing. 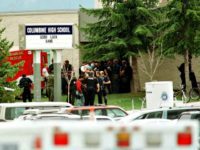 Officials identified the Salvadoran as 18-year-old Herberth Geovani Argueta-Chavez. He was “trying to separate from the gang,” Border Patrol officials stated. U.S. Customs and Border Protection Officials have not responded to an inquiry as to whether they received any asylum requests from “caravan migrants” crossing from Tijuana in recent days. President Donald Trump called on Department of Homeland Security (DHS) to not let the asylum seekers into the U.S. The president then tweeted a message to Mexican officials urging them to stop people from navigating freely through their country to the U.S. He threatened to make this a condition of a new NAFTA agreement. Mexico, whose laws on immigration are very tough, must stop people from going through Mexico and into the U.S. We may make this a condition of the new NAFTA Agreement. Our Country cannot accept what is happening! Also, we must get Wall funding fast. DHS continues to monitor the remnants of the ‘caravan’ of individuals headed to our Southern border with the apparent intention of entering the United States illegally. A sovereign nation that cannot – or worse, chooses not – to defend its borders will soon cease to be a sovereign nation. The Trump Administration is committed to enforcing our immigration laws – whether persons are part of this ‘caravan’ or not. If members of the ‘caravan’ enter the country illegally, they will be referred for prosecution for illegal entry in accordance with existing law. For those seeking asylum, all individuals may be detained while their claims are adjudicated efficiently and expeditiously, and those found not to have a claim will be promptly removed from the United States. 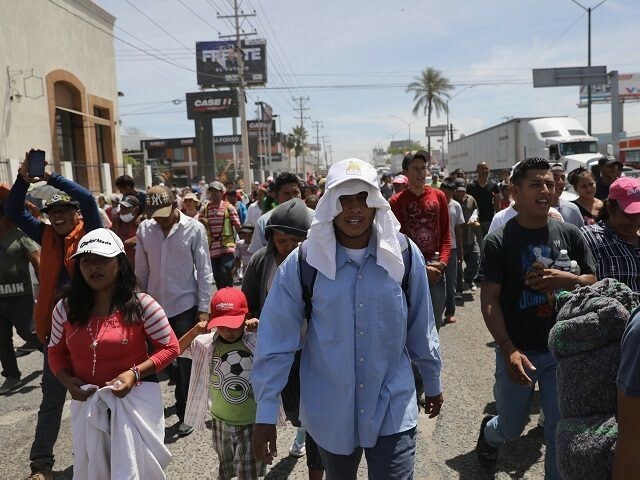 This year’s caravan grew to much larger numbers than previous years, VOA News reported. The current group reached about 1,200 participants–an increase of about 1,000 over last year. In response to the caravan and recent spikes in illegal border crossings into the U.S., President Trump ordered the deployment of up to 4,o00 National Guard troops to help secure the border. The governors of Texas, New Mexico, Arizona, and California all responded by activating troops in their respective states.